Every year I indulge in a little Christmas/winter reading to get me in the mood for the festive season. 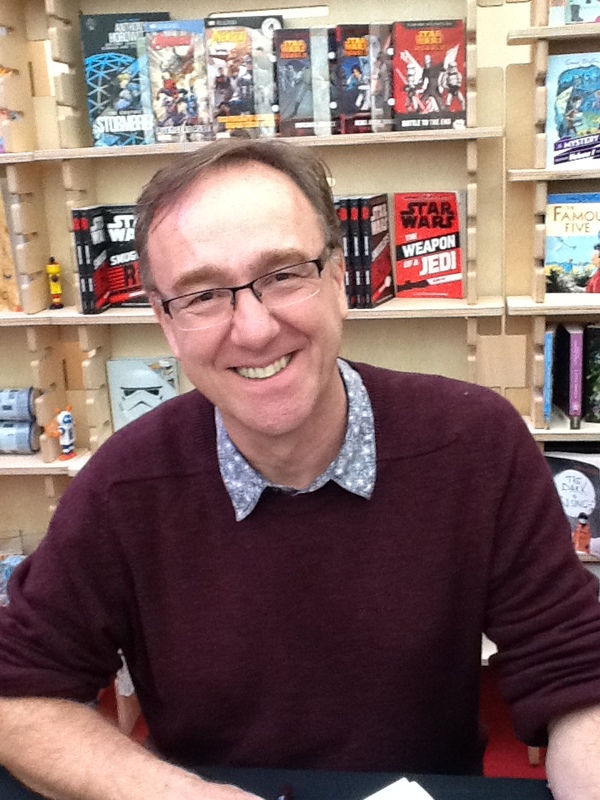 This year has been no exception with the highlights being Matt Haig, Tracey Corderoy and Alex T Smith; although all of these books will get you into the required mood. 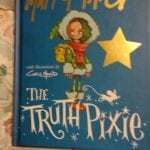 “The Truth Pixie” by Matt Haig and Chris Mould. 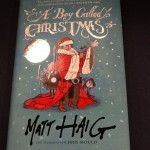 Over the last three years we have been treated to a series of three books based on the origins of Father Christmas. One of the central characters in each story is the Truth Pixie who is subject to the mixed blessing of not being able to tell a lie. In this delightful rhyming tale for younger children she discovers a new friend, makes that person happy and brings a bit of magic into the life of everyone who reads this tale. It is an absolute classic of the future. “Hampstead the Hamster” by Michael Rosen is another story for younger children, those from 5+ . The hero Leo had always wanted a pet Hamster and eventually he gets his wish. However Hampstead (the hamster) is very sad and just seems to sulk in his cage. Leo tries everything to cheer him up, but nothing works; then Leo sees his pet running on the spot in the cage and gets a brilliant idea – hamsters love wheels and it would make a great Christmas present. Some great aaah! moments for everyone. “How Winston delivered Christmas” by Alex T Smith is an absolutely delightful story told in “twenty four and a half chapters”. It is about how a young mouse called Winston discovers a letter to Father Christmas, on Christmas Eve, and decides he will try and make sure that the letter is delivered. This is a glorious story full of Christmas spirit and one which is bound to become something of a festive ritual in many homes. 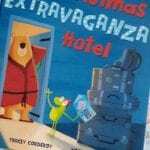 “The Christmas Extravaganza Hotel” by Tracey Corderoy and Tony Neal. What a fantastically funny story, full of friendship and sharing. When frog mis-reads his map and ends up on the opposite side of the world from his Christmas hotel he is helped by Bear, who does everything he can to make the holiday memorable. This proved an absolute winner when I read it to six classes on one day and it leaves you with a warm glow. 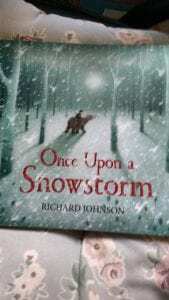 “The Snowman” by Michael Morpurgo and Robin Shaw, based on the classic story by Raymond Briggs. 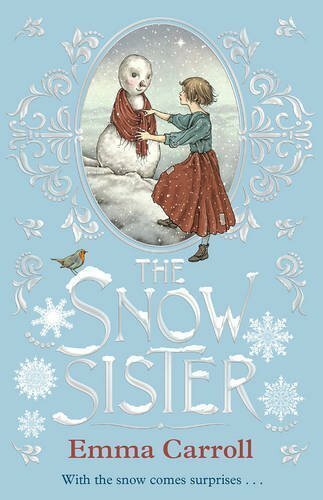 This is a really lovely extended version of the Snowman story and will be great for those who want to read something slightly longer. 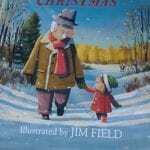 “Grandpa Christmas” by Michael Morpurgo and Jim Field. This is a heartwarming story with a strong message for all of us. Mia and her family read a very special letter from her grandfather every Christmas, just after they have opened their presents. In this letter he talks about the need to care for our world and to make sure that we do our best to make it a good place for our descendants and for the creatures that we share the world with. So thought provoking and magical. 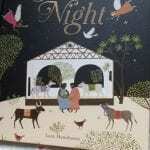 “Silent Night” by Lara Hawthorne is a joyous re-telling of the Nativity story, using the words of the famous carol “Silent Night” The illustrations are bright and simple and can be enjoyed by children of all ages. The book also explains how the carol came to be written. It is a really delightful way for children to learn this song on the lead up to Christmas. 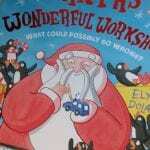 “Santa’s Wonderful Workshop” by Elys Dolan is a totally hilarious look at what can go wrong when Santa brings in some new helpers to make enough presents for Christmas. The illustrations are full of jokes will keep young readers amused for hours; it will also keep the adults chuckling as they read the story. 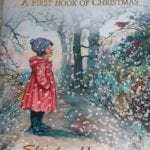 “Snow in the Garden” by Shirley Hughes is a gorgeous collection of stories, poems, recipes and decorations from one of the country’s most beloved writers and illustrators. this is one for both home and school and you will dip into it year after year. The Night I met Father Christmas” by Ben Miller and Daniela Jaglenka Terrazzini is a very different take on the legend of Father Christmas. It gives you hope that no one is beyond redemption and really oozes Christmas spirit. “Frost” by Holly Webb is a magical tale of London, both now and in the 17th century, so if you like an element of time travel, wonderful animals and family tales you will love this. Whilst Christmas 2018 has now gone, these are great additions to your collection which will keep you ahead of the game for the coming year. 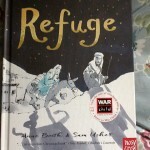 I am now looking at Easter and some great picture books that have appeared in the past few months. There is some fantastic reading ahead. Why does a cold always strike when you least want it to? Thankfully I seem to be getting over the worst of it, but it has meant missing a performance of “Messiah” that we had booked to attend. 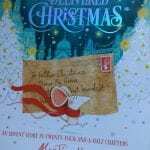 We will just have to listen on CD, but it is not quite the same.’ This means that I will have to depends on my books to bring the Christmas spirit into our lives and whilst I have re-read some old favourites, I have also had the chance to read a couple of fantastic new additions. 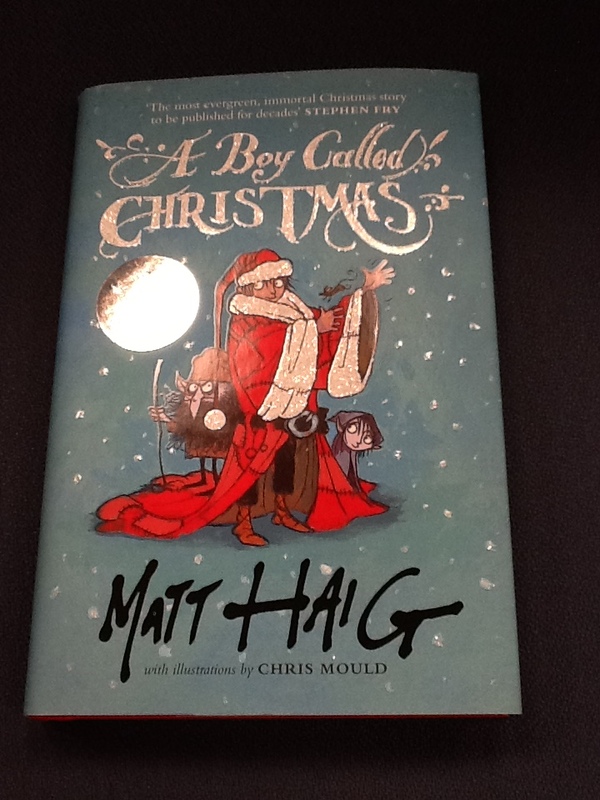 The first of these books is one that has taken the children’s book world by storm this year and it is “A boy called Christmas” by Matt Haig. It is the story of a young boy’s journey to find his father and how he saves relations between elves and humans. It is also the story of how he gradually becomes the person known as Father Christmas, aka Santa Claus. A wonderful mix of fairy tale and fantasy that whilst showing the depths of human behaviour also shows how goodness overcomes evil and that it is possible to live happy peaceful lives. The illustrations are by the truly original and inventive Chris Mould. I particularly like his front covers for “The Daily Snow”, all of which had me chuckling to myself. For the younger readers there are some old favourites and some humorous new friends to be made. Firstly there is “Librarian’s Night before Christmas” by David Davis, illustrated by Jim Harris. It is based on the original story by Clement C. Moore and tells the story of a librarian working on Christmas Eve and what happens when Santa and his Elves turn up to help. 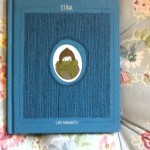 There are some serious messages underlying the humour and it is a book that will make most librarians chuckle. 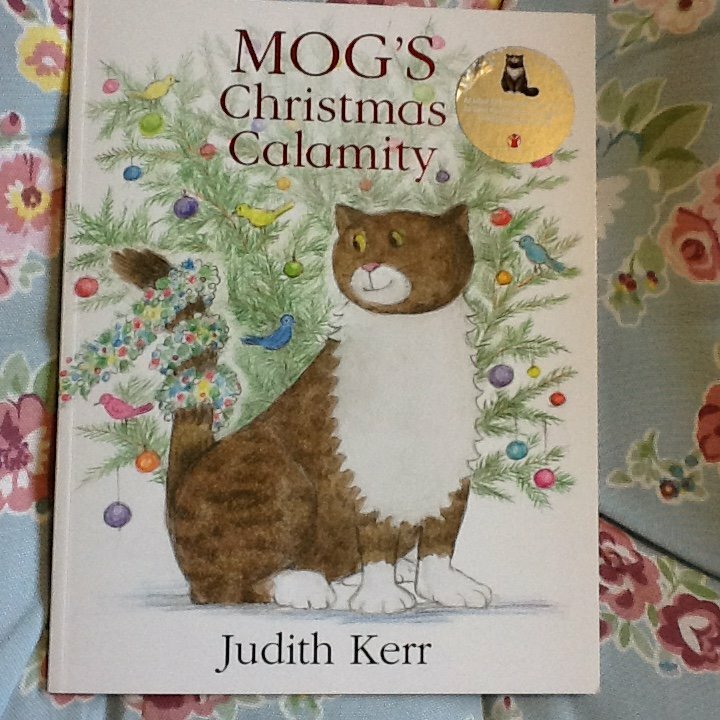 Judith Kerr has caused quite a stir with her new “Mog’s Christmas Calamity” which was created as part of the Sainbury’s Christmas advert. In this adventure our favourite cat manages to create the problem and then save the day for all concerned. It is a lovely ‘feel good’ story and will join the original “Mog’s Christmas” in becoming a seasonal favourite. A story that evokes the feelings of Christmas without being about the festival is “Snow” by Sam Usher. this is the tale of a young boy and his excitement on discovering snow has fallen. We can positively feel his anguish as he has to wait while his grandfather gets ready to take him to the park. Eventually they gt out and join all their friends for snowball fights and sledging, so a fantastic time is had by all concerned. (NG) Thanks to the publishers and Netgalley for access to these titles as online proofs. For the first time in about 10 years I decided to pay a visit to the “Book it” section of the Cheltenham Literature Festival. 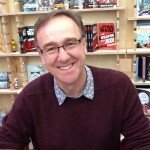 This was mainly because I could not fit in all the authors I wanted to see at Bath (I was on duty) and also because it was announced that the amazing Jane Churchill would be stepping down from her role as children’s coordinator at the end of this year. I decided on the second Sunday of the event because Bath was over and there were several panels of writers that I wanted to see. Perhaps the nicest thing about the Cheltenham venue is that it is in the Town Hall and on the green, which enables little activities to be taking place outside. There was a real buzz about the place as children enjoyed learning circus skills, face painting and various other craft subjects. Luckily the weather was fine and there was a really wonderful atmosphere. the day started of with a session by Gillian Cross and Sally Nicholls talking about their books “Shadow Cat” and “An Island of their own”. The first story is about two young people brought together by circumstances and who form a common bond as they try and save a captive Serval and the second book is about a group of three siblings who are left some jewelry by an elderly aunt, but the catch is that she has hidden it and they have to go on a search. It was great to hear two such talented writers speaking about their plots and how they came up with their stories. I then attended a fascinating session by Holly Webb and Kate Saunders about their respective books which carry on two very famous classic novels. 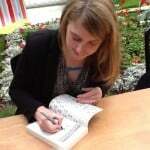 Holly has written “Return to the Secret Garden”, whilst Kate has given us “Five Children on the Western Front”. 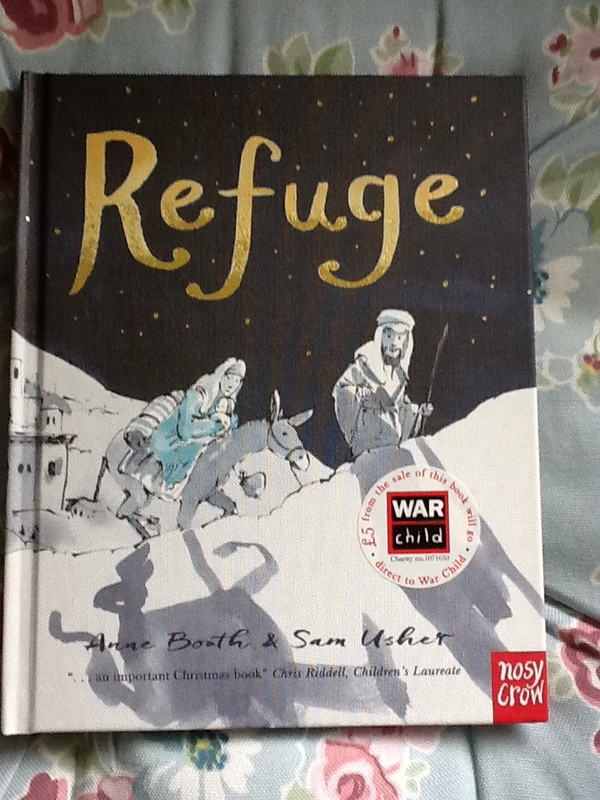 Both books have a wartime setting, the Western front being WWI and the Secret Garden featuring refugees in WWII. They are definitely worth having a read of and provide an added perspective on times gone by. I have just started reading Holly’s book but I read Kate’s book a while ago and it is a superb read, having been nominated for several awards.. 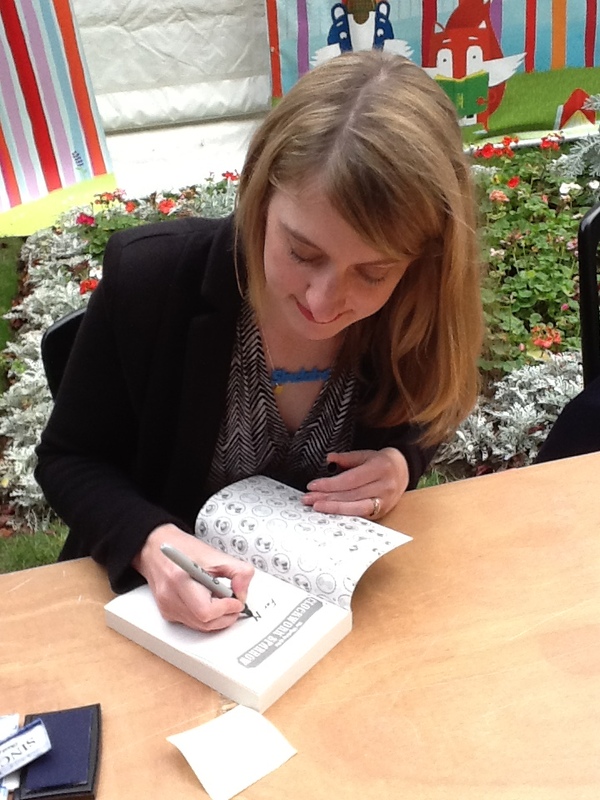 The book tent was full of authors signing books for their fans and I was lucky enough to meet up with Shoo Rayner and then saw Tracey Corduroy and Michael Morpurgo from a distance. Shoo had been talking about his new book “Dragon White“, which follow on from the previous title “Dragon Gold” and links a modern story with the myths of Wales and Merlin. 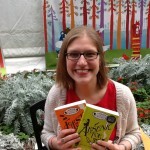 It is a similar theme to that used by Sarah Mussi in her book “Here be Dragons”, although her work is for a teen audience. Shoo’s dragons are great for the younger confident reader. My final event was one that had sold out and several of my friends were quite envious, it felt like having a ‘Golden Ticket’. This was with Robin Stevens and Katherine Woodfine, both of whom have written brilliant books that I have mentioned in several blogs already. They are “First Class Murder”, the third in the Wells and Wong mystery series and “The mystery of the Clockwork Sparrow”, the first in a series. 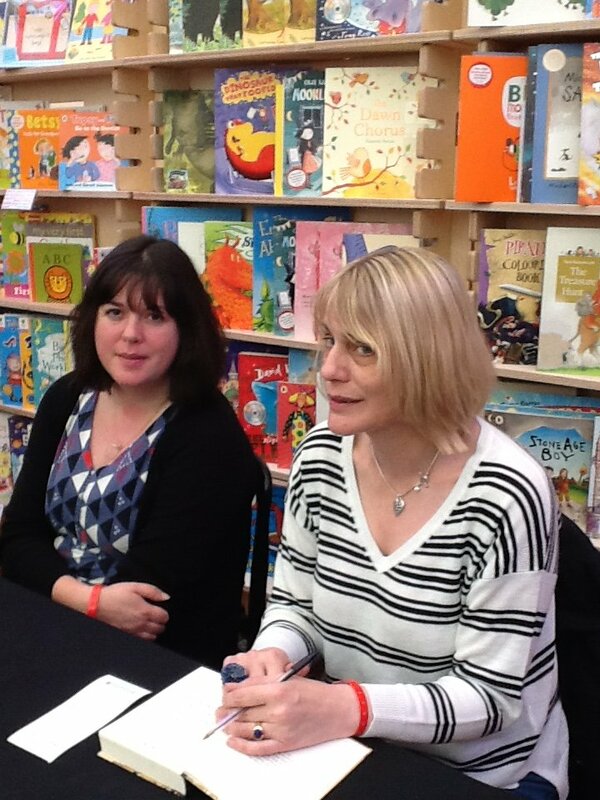 There was great elation when they both announced that new titles will be published in February and March 2016. From Robin we will see “Jolly Foul Play” and from Katherine it will be “The mystery of the Jewelled Moth“. I can’t wait to read both of them. There is quite an interest in mixing history and mysteries and these two writers are excellent examples of the sub-genre. I must admit that I came away from this day in a bit of a golden glow. 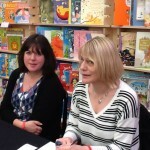 There were so many lovely friends that I had seen and had a chat to as well as listening to some fascinating authors. 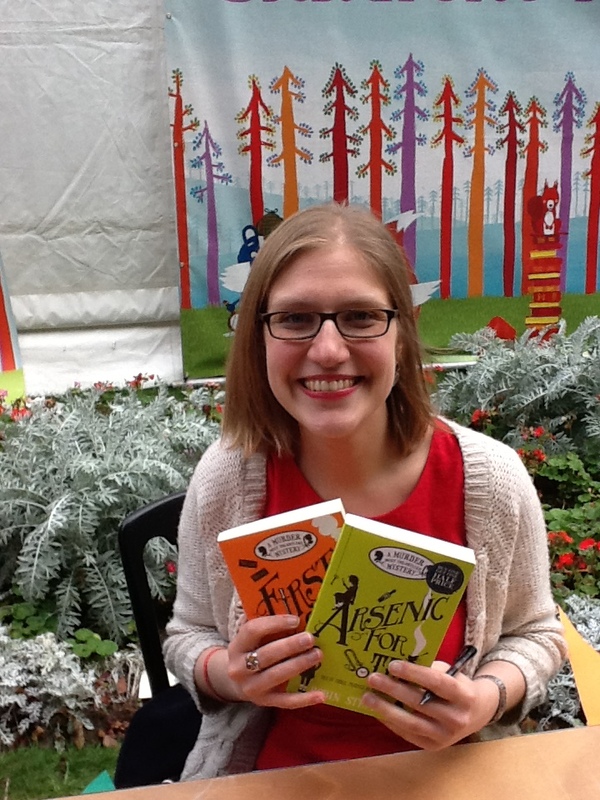 Most of all these festivals remind us that there are huge numbers of enthusiastic young readers out there, we just need to make sure that they are being shown books that they will enjoy. I definitely think that Cheltenham is back on my map, even though my heart is in Bath.